Uprooting and moving to another state can result in any number of positive or negative outcomes. For Don and Lori Chaffer, the husband and wife duo behind Waterdeep, the trek from Kansas City to Nashville seems to have not only been successful, but has resulted in a great album as well. In The Middle Of It was recorded in both places, before and after the move, but it retains the cohesiveness of a unified vision and spirit. I don’t mean in an intentional concept album sort of way, but in more of a focused creative approach. 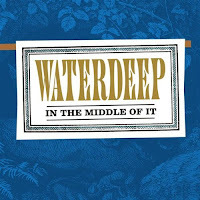 Even after 11 albums, Waterdeep knows how to surprise and inspire with a mixed bag of playful rock and relaxed folk tunes. Just look at Johnny and June, Tom Waits and Kathleen Brennan, Arcade Fire, Low or Derek Webb and Sandra McCracken and you’ll see that the right married musical team can really conjure up something unique and interesting. Don and Lori are no exception. Their contributions to each others songs, both vocally and instrumentally, weave together well and create a musical dance that never suffers from overstepping or confusion about who is taking the lead. They remind me a lot of Buddy and Julie Miller in the way that even though the liner notes may say the song is written by only one of them, both seem to know exactly what the song is saying and what it needs. In my opinion, it goes beyond just musical knowledge and performance though. Married couples have the deeper understanding and the history to know where a song is coming from and where it’s trying to go. The stories, the trials, the hurts, and the laughs have all been shared and experienced together. Plus, they aren’t afraid to tell you when it’s crap because they know there’s a better one inside you. Over the years Waterdeep has been a folk duo, a southern-fried jam band, an acoustic worship team and more. They continually stretch themselves, without ever losing the point, and keep progressing into a newer and more nuanced version of Waterdeep. For In The Middle Of It, they’ve added synths and even more electric guitars to the mix to really keep things vibrant and energetic. “Haven’t You Always” is one of the more ambitious songs off the album and is probably my favorite. Telling the story of a Franciscan monk drop-out and a rock star who run away to Mexico to get married, “Haven’t You Always” has a great sing-a-long chorus and a bridge that switches time signatures to a waltz and features a string section playing over the noises of sirens and bombs. Can’t wait to see how they pull this one off live! Another standout track is “Gimme My Walkman”. It’s a laid back rocker where a walkman is used as a defense mechanism/security blanket for when parents are fighting. The song's nods to Simon and Garfunkel, Cream, The Who and Led Zeppelin are pretty cool too. 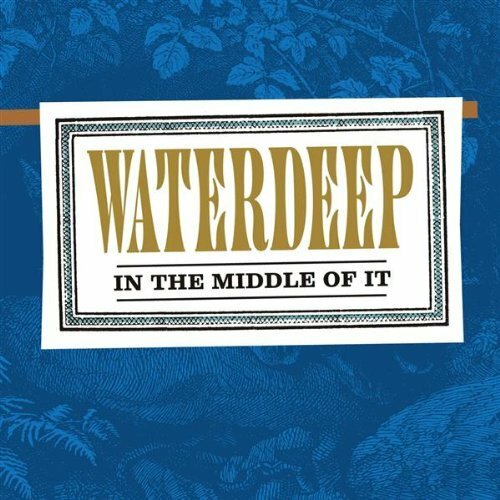 For longtime Waterdeep fans, the last few songs on the album will feel comfortable and the most like previous Waterdeep albums. However, I think Don and Lori have enough confidence to be able to push the walls out a little and still have their fans journey with them. In The Middle Of It can be purchased from Waterdeep’s store here.